Preheat oven to 375°. On a lightly floured surface, roll crust to a 12-in. circle. Press onto bottom and up sides of an ungreased 11-in. tart pan with removable bottom. Sprinkle with chocolate chips. Beat eggs, corn syrup, sugar, butter, bourbon and salt. Stir in pecans. Pour over chocolate chips. Bake until center is just set and crust is golden brown, 30-35 minutes. Cool on a wire rack. Cut into slices. 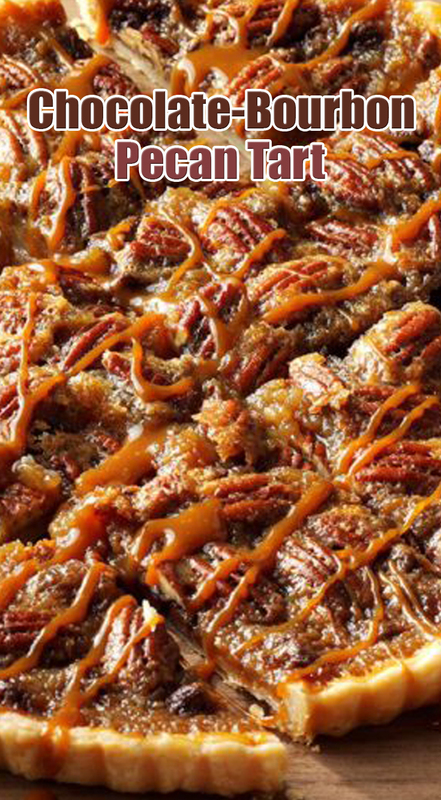 Serve with caramel topping.